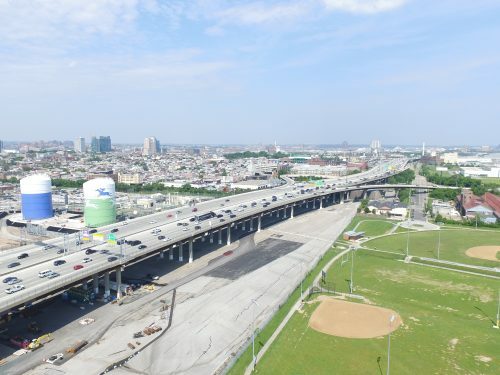 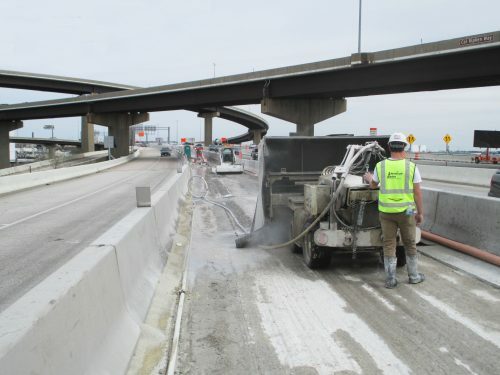 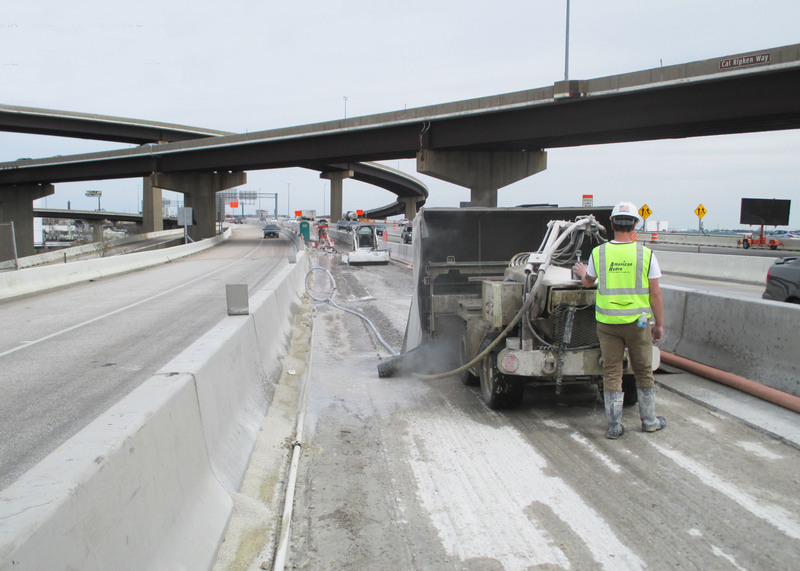 JMT led a construction management and inspection team for a major deck rehabilitation project involving latex modified concrete on a portion of I-95. I-95 is a major traffic corridor along the East Coast, and one of the most heavily-travelled interstate roadways in the nation. 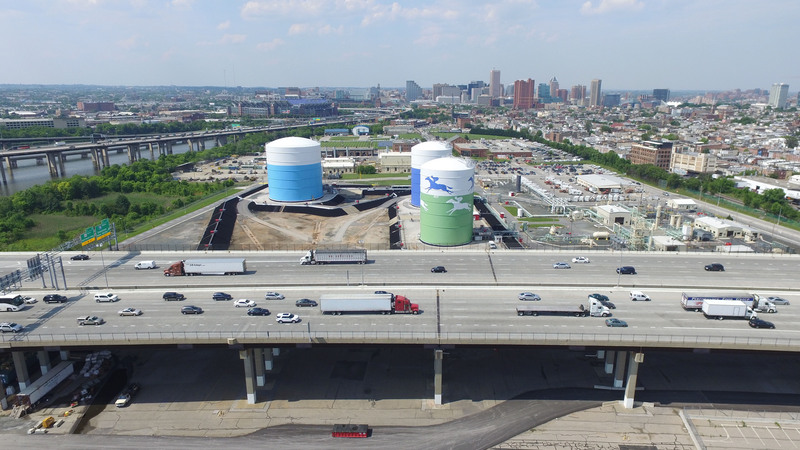 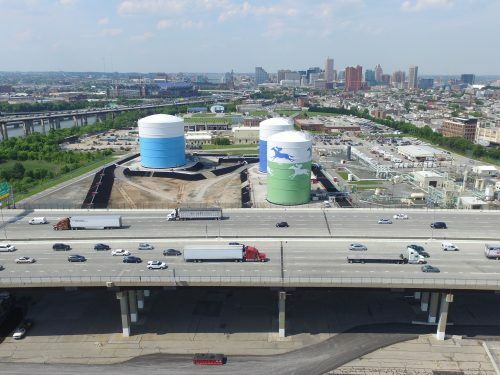 The highway, which has a four-mile section of elevated road going through Baltimore and supports approximately 250,000 vehicles per day, funnels tourists and daily commuters into the city’s downtown district, just south of the Fort McHenry Tunnel. 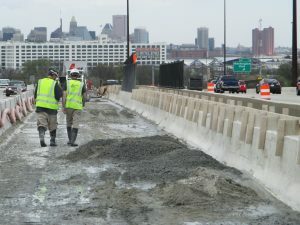 JMT partnered with the Maryland Transportation Authority (MDTA) to complete a major deck rehabilitation and joint modification, replacing 67 roadway joints at 16 bridges and deck overlays at 18 bridges along I-95 between I-695 and the Fort McHenry Tunnel, and rehabilitating nearly 250,000 square yards of existing bridge decks using hydro demolition. 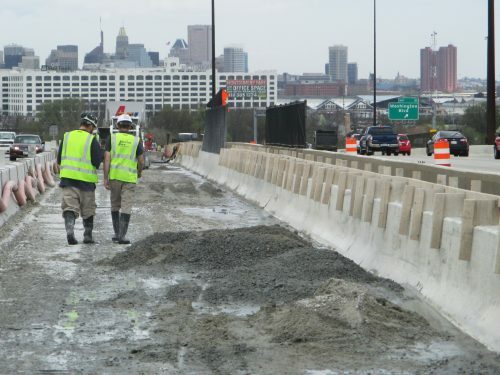 This work will extend the service life of the existing bridges to ensure safe travel for decades to come. 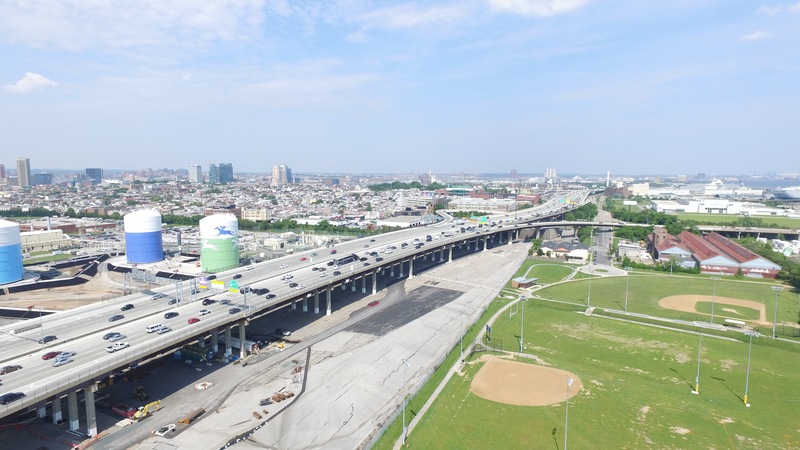 JMT led a construction management/inspection staff of up to 24 inspectors and office employees who were solely assigned to this project. 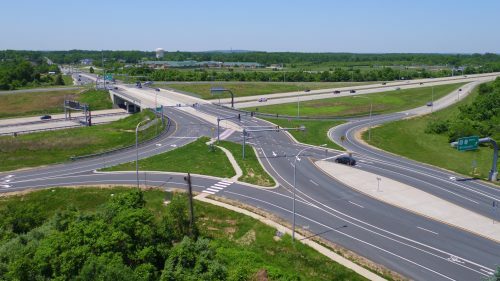 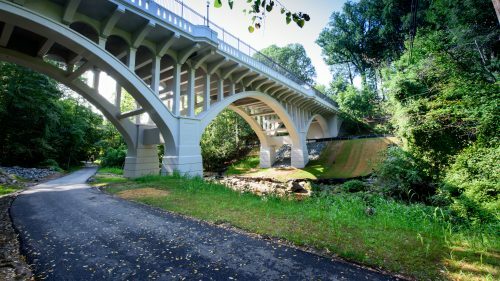 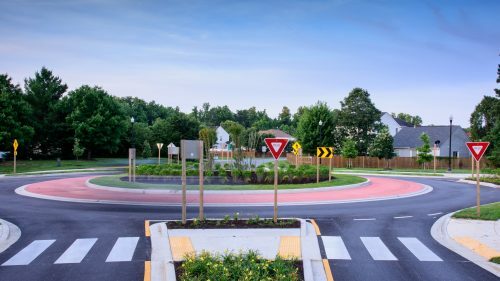 The project proved challenging as it was the largest latex modified concrete overlay project ever attempted by MDTA, and impacts to drivers and the community had to remain minimal. The project involved numerous maintenance of traffic phases, rehabilitating 241,643 square yards of existing bridge decks using hydro demolition, hundreds of miles of temporary pavement markings, 20 miles of permanent pavement markings, and approximately one-half mile of joint replacements. 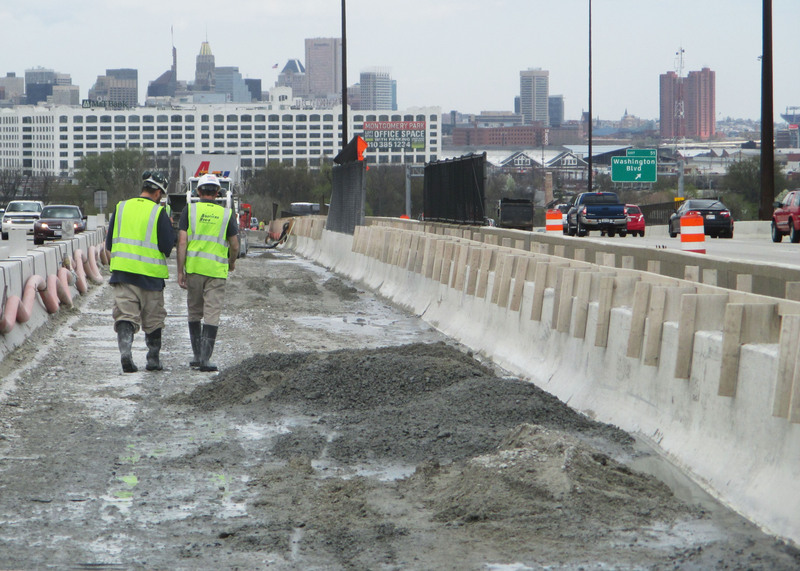 All work along the main roadway was completed without long-term lane closures to minimize impacts to motorists. 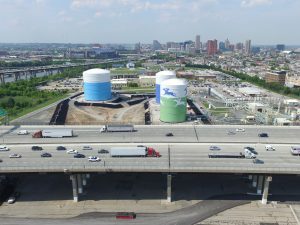 JMT’s work on the I-95 deck rehabilitation project was recognized as Engineering News-Record MidAtlantic’s Best Project (Specialty Construction), the MDQI Project of the Year (Over $5 Million), MDQI Partnering Gold Award, MDTA Modal Award of Excellence (Construction & Design, Over $5 Million), and Construction Management Association of America Baltimore Chapter Project Achievement Award (Under $100 Million).